Home / Fitness / How Many Pushups a Day Is a Good Workout? Doing 200 pushups per day in as few sets as possible is a good workout. Doing 300 pushups a day is a great workout, but more appropriate for people with greater strength. Pushups not only build upper body strength and endurance, but they also tone your chest muscles, core and can also get your heart pumping. Pushups are part of various assessments as a way to measure physical fitness. For example, pushups are part of the Army Physical Fitness Test (APFT). The APFT includes a 2 mile run, pushups and sit ups for 2 minutes each. There is a minimum number of pushups and sit ups that are required to be done in 2 minutes in order to pass the fitness test. Therefore, pushups are used as part of a way to gauge fitness. While pushups offer many fitness benefits, they are not the only exercise that should be done for your workout. A combination of strength training all major muscle groups in addition to aerobic exercise can provide a balanced workout program. 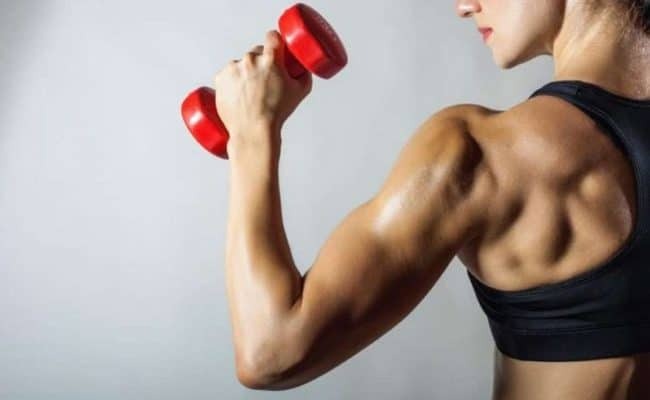 Like other exercises, if you can’t do many (if any) pushups, modifying and gradually increasing the number you do will build strength and endurance so you can do more pushups. How many pushups you should do for a workout can vary based on fitness level, age, fitness goals, individual health factors and any injuries or previous injuries. How many pushups should you do a day? How many pushups you should do for a good workout depends on your fitness level and what your fitness goals are. How many pushups can you do in 2 minutes? The minimum requirement to pass the APFT for females 22-26 years old is 11 pushups in 2 minutes and 31 pushups in 2 minutes for males 22-26 years old (1). This is not necessarily a standard for optimal strength, but it can be a starting goal for pushups. If you want to push yourself to see how many pushups you can consistently do in a day, your number of pushups for your workout will be much higher. Some people have trained to be able to do several hundred pushups a day. For example, SEAL training involves doing several hundred pushups a day, 5 days a week. According to former Navy SEAL and certified Strength and Conditioning Specialist Stew Smith (2), you may be able to increase your daily pushups from 50 per day to 80 per day in only a few weeks. This will involve doing multiple sets of pushups a day that equals about 200 or more total pushups. The total amount you do can vary; doing 300 pushups a day may be more appropriate for people with greater strength. Smith suggests on odd days focus on doing 200 pushups in as few sets as possible. These are also considered in addition to other upper body strength exercises you may do. On even days, focus on doing pushups in smaller reps throughout the day. If you want to incorporate pushups for general strength, not necessarily to do hundreds per day, aim to incorporate 2-4 sets of pushups of 8-12 reps at a time. This can be included as part of your resistance exercise program for upper body strength. If you can’t do that many “regular” pushups, don’t worry. Starting wherever you’re at with pushups can increase your strength and endurance so you will be able to do more. If you can’t do a full pushup- toes on the ground, body parallel to the ground, pushing your arms up and bending your elbows to about 90 degrees- start with doing pushups from your knees instead of your toes. In either posture, it’s important to keep your hips level instead of sticking up or sagging your hips. If you can’t do a pushup from your knees, you can use a waist high surface or a wall to push up from while standing. As your body gets used to doing pushups in a modified form, incorporate a few “regular” pushups in your routine. You can either start with regular pushups or finish your set with a few regular. Continue to add a few more reps of “regular” pushups as you build strength. It’s important to remember proper form should never be compromised. It’s better to do more pushups from a modified stance than to do full pushups with improper form. If you feel pain anywhere while doing pushups, you should stop. Your muscles may feel fatigued which is normal and pushing through fatigue can help build strength. However, if you feel pain, it is not recommended to push through pain in joints or any other part of your body. If you are able to do multiple pushups and want to add another layer of difficulty, try elevating your feet while doing a push up (decline push up). You can put your toes on a chair, step or other sturdy elevated surface. This adds extra gravity resistance to pushups and can make them more challenging. In fact, a 2011 study (3) found this modification of a pushup has the greatest ground reaction force. Ground reaction force is a way to measure the body’s work effort during a pushup. Another way to vary your pushups can be altering how far apart your hands are. Having hands in a narrow position activates more muscle groups compared to having hands further apart. Just doing one exercise alone isn’t a balanced exercise plan. Pushups should be one aspect of your weekly workouts. 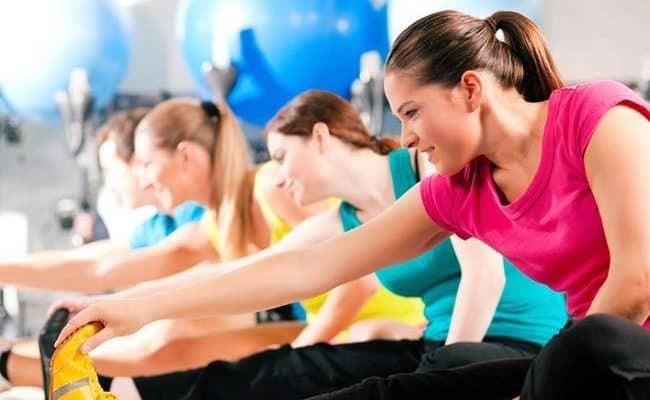 Incorporating a variety of strength and aerobic exercise is recommended for overall health. Besides pushups, you can incorporate leg strengthening exercises, core exercises and adding some aerobic exercise such as: walking, jogging, biking, swimming, etc. Before starting any fitness plan, consult your healthcare team to see what would be best for your individual health needs. Want to incorporate pushups as part of a high intensity cardio workout? Try doing this tabata workout or a 3 move body circuit workout.